In the focus of this article is the Erasmus+ Programme, the European Commission’s current programme supporting education, training, youth and sport in Europe. The programme commenced in 2014 and aims to provide a total of €14.7 billion in funding in the aforementioned policy areas until 2020. This comprehensive programme serves as the continuation of several preceding European Union initiatives in the field of education, training and youth, including the Lifelong Learning programme, several international cooperation programmes and – of greatest importance with regard to the topic at hand – the Youth in Action programme promoting active citizenship, solidarity and tolerance and fostering intercultural dialogue between young people residing in the different member states; and at the same time developing the capabilities of civil society organisations and supporting a general European cooperation in the field of youth policy. What makes this precedent programme so relevant today is that Youth in Action emphasized the importance of social inclusion in conjunction with all of its objectives – ensuring that the opportunities provided by the programme are available to all European youth, irrespective of their educational, social and cultural backgrounds. These objectives and the emphasis on social inclusion remain equally important – if not more so – in the Erasmus+ programme: while the Youth in Action initiative had to deal with drastically increased levels of youth unemployment in the aftermath of the 2008 economic crisis, the current programme has to respond to several new key issues, including a significant increase in immigration through the external borders of the European Union while still facing some lingering aftereffects of the economic crisis. The variety and the considerable economic and cultural impact of these social issues requires constant innovation, the development of novel (and targeted) approaches for social inclusion in the field of education, training and youth; these innovative projects, in turn, require effective funding mechanisms in order to achieve their objectives. Finally, actions in the field of sport constitute a separate segment of the programme. The specific actions to be undertaken (and to be funded) in these areas are outlined in the yearly Erasmus+ work programmes. Implementing these work programmes are the European Commission (primarily through its Education, Audiovisual and Culture Executive Agency) and the National Agencies appointed by the member states participating in the programme. The implementation occurs mainly through indirect management, meaning that the Commission entrusts the majority of budget implementation tasks to the National Agencies. Also involved in the implementation are several other European Union bodies, including the SALTO-YOUTH network of resource centres which provide resources, information and training in specific areas – social inclusion and cultural diversity, among others – for National Agencies and other actors involved in youth work, while also fostering the recognition of non-formal and informal learning: a key tool in handling social exclusion. Grants: the European Commission (or its Executive Agency) publishes general and specific calls for proposals each year. Any organization, institution or group in the education, training and youth field may apply for a grant, provided that they have the financial stability to maintain their activity throughout the period during which the action is being carried out and to participate in its funding and have the professional competences and qualifications required to complete the action. Procurements: several Erasmus+ actions are to be implemented via public procurement procedures – through calls for tenders or the use of framework contracts. Specific financial instruments: the Regulation 1288/2013 of the European Parliament and the Council establishing the Erasmus+ programme refers to the Student Loan Guarantee Facility as such an instrument, which provides partial guarantees to the financial intermediaries of the loans provided by the programme to students undertaking a second-cycle degree, such as a Master's degree, at a higher education institution in a programme country other than their country of residence. The management of this instrument is entrusted to the European Investment Fund. Experts and other actions: the yearly work programmes also cover the costs related to the experts involved in the assessment of the submitted projects. Finally, specific funding is set apart for activities carried out in cooperation with the Commission’s Centre for Research on Education and Lifelong Learning. Today, specific funding is assigned – through the use of grants – to activities related to social inclusion in the field of education, training and youth, as an integral part of Key Action 3 of the programme (titled Supporting Policy Reform). This can be considered a novel addition to Erasmus+ – a specific call for proposals related to social inclusion first appeared in the 2016 work programme. The addition of this specific action was preceded (and invoked) by the adoption of the so-called Paris Declaration (officially titled Declaration on promoting citizenship and the common values of freedom, tolerance and non-discrimination through education) – a non-binding political declaration adopted at an informal meeting of the member state ministers responsible for education on 17 March 2015. Promoting intercultural dialogue through all forms of learning in cooperation with other relevant policies and stakeholders. For the successful achievement of these objectives, the two most recent work programmes have included a call for proposals to support transnational cooperation projects in the education, training or youth sectors, for developing, testing, evaluating and disseminating innovative approaches – including the support of grass-root activities. In the case of grass-root activities, the supported projects should show potential for being replicated at a larger scale in similar or different contexts. The work programmes encourage cross-sector approaches with a view to exploring synergies between education, youth, culture and sport. An important question is: who may apply for a grant related to social inclusion? The current work programme allows for applications from both public and private organisations active in the fields of education, training and youth or other socio-economic sectors, and organisations carrying out cross-sector activities – for example, research, cultural and sport organisations. All applicants must be established in an EU member state, EFTA/EEA country or certain EU candidate countries (Turkey and Macedonia) and projects generally must involve a minimum of 4 participating organisations representing 4 different programme countries. Examining the amount of funding provided by the European Union related to this specific action, we can establish that it is not only a novelty, but an area of increasing importance. While the original proposal of the 2016 working programme allocated only €3 million to social inclusion projects, a later amendment provided a further €10 million. The 2017 programme provides another €10 million in total funding for this field of action – 8 million of which is to be allocated to projects in the field of education and training, while the remaining €2 million are to fund initiatives in the field of youth. The programme also specifies that the specific call for proposals in the field of youth will focus on two thematic priorities in line with the previously mentioned overall policy objectives: one on the role of volunteering and one to prevent violent radicalisation – again, a key issue in the light of recent geopolitical events. Another question is: what can we know about the projects that receive a green light from the Commission? In 2016, 22 education and training-related and 6 youth-related projects received European Union funding under this specific action. Among these, projects dealing with the issues faced by migrant children and youth are the most numerous, while the remainder of the greenlighted projects deal with a multitude of social issues – among others, Roma integration, volunteering and the prevention of violent radicalisation. The selection results of the 2017 call for proposals were released recently: 18 projects in the field of education and training and 4 in the field of youth received funding this year, with the majority of supported projects taking a more generalized approach to inclusive formal and informal education, training and volunteering – developing and promoting evidence-based policies and creative educational toolkits with a potential for universal application instead of focusing specifically on certain vulnerable social groups. Among the remaining projects, initiatives focusing on migrants (or more specifically, refugee children and unaccompanied minors) are still the most prominent. To further highlight the importance of the Erasmus+ Programme’s support of social inclusion projects, we should examine in greater detail one of the greenlighted initiatives: the Central European University’s project funded under the working title Refugee Education Initiative. The proposal, receiving €440,000 in Erasmus+ funding, strove to expand the CEU’s academic outreach programme titled Open Learning Initiative (OLIve). The original OLIve programme (OLIve-WP), funded exclusively by the university’s own Intellectual Themes Initiative, provided weekend classes to refugees and asylum seekers registered in Hungary, including academic tutoring courses in various disciplines, English language classes and a human rights course. With the funding received through an Erasmus+ grant, the University could launch a new, more ambitious form of academic outreach: the new programme, titled OLIve-UP, provides an intensive, full-time and fully funded university preparatory course to students with refugee status in any of the EEA countries. The course lasts for a full academic year, and focuses on English language, human rights advocacy training and academic preparatory classes. Ensuring the effectiveness of the OLIve-UP programme is the fact that its curriculum is based on a long-running, successful CEU initiative: the Rome Access Program (RAP), which has been offering university preparatory courses to outstanding Roma students for over a decade. As mentioned before, all initiatives funded under this specific action require the participation of at least four organisations representing four programme countries: in this case, the CEU is joined by the University of Vienna (UV), the University of East London (UEL) and the European Network Against Racism (ENAR) in the realization of the OLIve-UP programme. Similarly to CEU, the UV and UEL base their OLIve-UP courses on previous, well-established university preparatory programmes, with the UEL even providing a guaranteed place to successful OLIve graduates a place in its BA/BSc degree programs; while the ENAR produces policy papers relating to the initiative and provides internships and advocacy training sessions to OLIve participants. While the directed funding of social inclusion projects can be considered a novelty, this specific action is not the only way the Erasmus+ programme is supporting a more inclusive education, training and youth field. Of particular importance is the programme’s Inclusion and Diversity Strategy which – as the successor of the Youth in Action programme’s similar instrument – aims to ensure the accessibility of Erasmus+ funded projects to young people with fewer opportunities, primarily in the field of youth (as a tangible example, this might mean the participation in informal learning programmes or volunteering projects). As the SALTO-YOUTH resource centres play a particularly important role in the development and implementation of the strategy, the funding provided to these institutions is tantamount to the efficient assessment and realization of inclusion projects in the field of youth. The funding of the resource centres constitutes part of Key Action 3 (Supporting Policy Reform), and amounts to 2 million euros per each yearly work programme. Another specific call for proposals under Key Action 3 with a potential to play a significant role in the promotion of social inclusion and diversity was “European Policy Experimentation”, running from 2014 to 2016. This call covered field trials of experimental policies, led by authorities from the programme countries, carried out simultaneously in the participating countries using commonly agreed evaluation methodologies, to assess the relevance, the cost-effectiveness and the potential impact of these innovative policy actions. 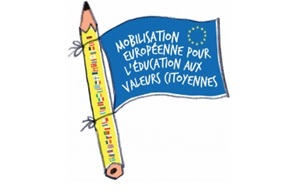 The priority areas of this call were different each year: in 2016, several of these priorities were based directly on the objectives of the Paris Declaration, especially “Promoting fundamental values through Education and Training addressing diversity in the learning environment” and “Reaching out: developing capacity for tackling and preventing marginalisation and violent radicalisation among young people”. This specific call received €14 million in Erasmus+ funding in 2016 – €12 million in the fields of education and training and €2 million in the field of youth – out of which more than €7 million was awarded to projects based on the aforementioned two priority areas. Starting from 2017, the “European Policy Experimentation” call has been reworked into “Forward Looking Cooperation Projects” (FLCP). This new call for proposals remains focused on identifying, testing, developing and assessing innovative policy approaches, while providing an opportunity to participate for a broader range of applicants: while the previous call only allowed for applications coordinated and submitted by a programme country’s highest level authority in charge of development and implementation of education, training or youth policies (or a network of such authorities), the new call accepts applications from both public and private organisations established in the programme countries, with the only added requirement being that all projects should be led by high profile, representative stakeholders with state of the art knowledge, the capacity to innovate or generate systemic impact through their activities and the potential to drive the policy agendas in the fields of education, training or youth. While the 2017 priorities of this call aren’t directly connected to social inclusion (although projects accepted under the priority “Acquisition of basic skills by low-skilled adults” may further the cause), the programme’s tendency to establish new priorities each year makes it probable that the FLCP call will tackle further inclusion-related issues until 2020.